Here at Firebear we are concerned with Ethereum falling. As huge tech enthusiasts and experimenters, we’ve invested into the cryptocurrency and the question about Ethereum dips was thoroughly explored by our team. So, why is Ethereum going down? What should we do when a new dip is inevitable? Will Ethereum crash? You will find answers to these and other questions below. After reading tons of various materials from Reddit threads to complicated scientific literature that was really hard to understand, we’ve decided to create this guide to simplify what we’ve discovered by summarizing key aspects related to Ethereum falls. And since this material can be useful for others, we’ve thought it would be great to post it in our blog. So, what do we know about key factors that cause Ethereum price dropping? You can find 5 most common reasons of Ethereum dips below. Why is Ethereum Price Rising? 7 Why is Ethereum Price Rising? Nothing works as fast as word of mouth. And nothing can be as influential as this factor. Therefore, any bad news about the ecosystem spreads like fire. And due to our nature, they spread even faster than good news. Their influence on our decision making is constantly rising reducing our sense of freedom. It is possible to write an article covering this topic, but why should we do this when Fromm already explained our escape from freedom? We’d better return to our mutton. Bad news about the Ethereum ecosystem and any technical difficulties spreads like fire and devours the Ethereum price like fire as well or at least makes us doing this by our own hands. When an average investor sees some bad news, he or she thinks that it is time to sell savings. And while someone just thinks about selling the others do. This leads to a new Ethereum dip. But is bad news so crucial? Definitely not. Technical issues are often forced by media without any understanding. This is rather a problem of the modern journalistic ethics when the Ethereum ecosystem drawback. It is possible to write a book about the modern journalistic ethics, but we will only mention that some media sources don’t have a goal to cover the topic providing readers with the full understanding of the problem. They just want to create buzz around the problem making it out of thin air. If it is a big media source, the reaction is really impressive: not only readers begin to talk about the problem, but smaller media players also cover the topic trying not to drop behind the others. Nothing is set in stone, but we always recommend you to check the real reason of the problem covered in media. Often, you shouldn’t even pay any attention to the title of the article that causes the panic. Indeed, we recommend you to learn more about ecosystem problems from the Ethereum wiki to sift out ashes from cinders and keep your Ethereum investments safe. The ecosystem has its life cycle that will be finished one day, but we strongly believe that it will happen not in the nearest future, so keep checking what media sources are trying to feed you with. Of course, when someone responsible for the whole ecosystem leaves the project, it’s a reason to panic. But there are no irreplaceable people. And history knows a plethora of examples that illustrate system stability and independence from staff turnover. For instance, Pavel Durov left his social networking service VK and nothing really happened: the network still exists and provides tons of new features. Top developers and managers leave Google every year, but there are even more talented young people willing to occupy their positions and work hard to make the company better. What about Ethereum? Someone’s new job becomes a reason of a dip, but we shouldn’t be afraid of it, since the ecosystem is strong enough and at the same time attracts the attention of people around the globe, so great developers will always take a vacant place in Ethereum. The same is about someone’s death. Here, we should return to the modern journalistic ethics and the necessity to check everything that you read or hear. The hoax around Vitalik Buterin’s death in a car accident caused another Ethereum falling. But the message was just a joke from 4Chan. And it was quite a successful joke that cost the ecosystem by around $4 billion. Of course, all rumors were put down and the price began to rise again, but the fact is that news about someone’s death or job change affects the Ethereum ecosystem and we get a price drop. The panic is rising with every decreased dollar and more and more people sell Ether causing even deeper fall. In some cases this leads to collapse, but it is hard to imagine a situation when Ethereum crashes because someone leaves the system. Unless all its developers will stop working on the project, everything must be ok. And even if everyone will abandon the ecosystem, will it crash because of the maintenance absence or price drop caused by the absence of the core development team? That is quite a different matter. Now you know 2 reasons why Ethereum price falls, and 3 more are left. Unfortunately, every attempt to create something idealistic and oriented towards people always face scam efforts to leverage the new idea, technology, or mechanism for mercenary ends. Political ideologies and religious doctrines, scientific and technical achievements, and even so called “protection facilities” always had some bright ideas behind them, but were often used in an egoistic and corrupted manner. And the Ethereum ecosystem is not an exception. Being developed as a mechanism for turning the Internet into a transparent system which will be free of deception and provide everyone with equal rights (as it was originally planned), Ethereum is already associated with some fraud cases. For instance, there was a situation around The DAO – a Decentralized Autonomous Organization by the team of German startup Slock.it. During the initial funding period, the project raised $150m+ from more than 11,000 members. Soon after the crowdsale was over, a bug was discovered in the project and The DAO became a subject to attack. 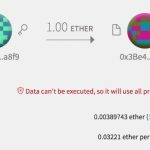 More than 3.6m Ether were drained into a new child DAO. This new project has the same structure as The DAO (the original project that was hacked). And since The DAO was one of the largest crowdfunding in history, its vulnerability and the following hack caused Ether falling from over $20 to under $13. Did this fall help to solve the problem? Definitely, not. The opposite is true. 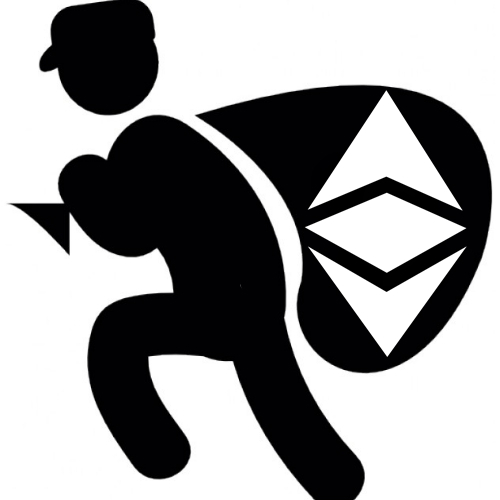 The attacker didn’t have to cache the stolen Ether by withdrawing it out of the new child DAO. It was only necessary to make a large short position on Ether at the time of the attack, which could be cashed out after the price of the cryptocurrency had been cut roughly in half. So, what are our thoughts about this situation? Scam projects affect the Ethereum price if they are highlighted in media. The panic begins and people start selling Ether dropping the price. What happens next? Then the panic is over, the price begins to rise again, and the ecosystem recovers from the small crisis. Someone becomes a millionaire while the others lose. And the problem occurs only because of the proper interpretation in media and by readers. Thus information about scam projects and hacks is a very important factor in the Ethereum dips, but we recommend you not to give way to panic. Think twice before making any decision. Of course, you act at your own authority and can lose everything, but most news about fraud and vulnerabilities will never affect your saving in long-term perspective unless you participate in the affected project. The situation with The DAO is fully described here. So follow the link for more information and better understanding of how DAO can be hacked and why the hack is set aside your investments unless you’ve invested into to the hacked project. Not only problems with the Ethereum ecosystem or its developers highlighted in media cause price falls. Any problems on cryptocurrency exchanges are often a reason of a new dip. For instance, there was the Ethereum flash crash on GDAX caused by a multi-million-dollar sell order that was placed at market price. As a result ETH crashed from about $320 to as low as $0.10 and quickly recovered. Coinbase stated that there was no indication of wrongdoing, but the aforementioned action lead to a total panic and chaos. All the processes behind that case are described here. Since we are neither traders nor financial analytics, we don’t want to waste your time retelling the article. But as developers and tech enthusiasts we know for sure that various technical issues can occur on any exchange platforms. Although all the sensitive information is stored in cold storage – servers disconnected from the Internet, so your funds are always safe, there are tons of other possible problems that may occur on the platform. Of course, these problems always lead to panic especially if they are exaggerated in media. As a result the Ethereum price is falling. And the aforementioned example illustrates how huge the drop may be. Of course, $0.10 per Ether is related to trading first of all, but the dip affected the market price as well. After the accident the price was recovered and reached new milestones. It means that panic often has no reason and in long-term perspective you will get your money back and even earn more. Before explaining this Ethereum drop reason, let’s figure out what the term ICO means. Initially it was related to the release of a new cryptocurrency. Tokens for it are sold for raising money necessary for technical development. This happens before the cryptocurrency release. Thus, we have to deal with unregulated means by which funds are raised for a new cryptocurrency venture. Nowadays, ICO is used to bypass the regulated capital-raising process which is mandatory in case of venture capitalists or banks. A startup runs an ICO campaign selling a percentage of the cryptocurrency to get the necessary resources. It creates a plan describing the future project, its needs, goals, the amount of virtual tokens the pioneers of the project will keep for themselves, how long the campaign will run, and other details. If the plan doesn’t look suspicious, people invest into the project. How may this influence the Ether price? Once again: all good ideas often get bad implementation. And while ICO is a great way to raise some funds for your future startup, it is also a tool for malefactors to earn some filthy dollar (yes, it’s a can be a kind of a scam project described above). People give money to those ICOs guided just by emotions. Everything is based on hope and hype and most of potential “investors” are too lazy to read even a single line of code or think whether the ICO has any practical use. 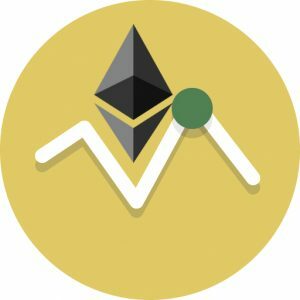 New and new suspicious ICOs will appear decreasing the kudos of Ethereum and consequently the Ether price. But the ecosystem will rise after each such fall. Another Ethereum price drop is caused by new big ICOs. Bancor and Status became the key reasons of one. More than $140 millions were raised by Bancor and it was dubbed “the biggest ICO in history” decreasing the price of Ether. Luckily, the appearance of a new huge ICO is not fatal. Yes, it decrease price, but right after the lowest point of the dip has been achieved, the price begin to rise. Another reason of why Ethereum drops is related to the absence of reliable lockups. Money raised by ICOs is not leaving as quickly as possible back to fiat currency. This cause the bump in Ethereum price. The price continues to grow, since no effective lockup period prevents this. Next, the money should be cached out that leads to Ethereum price fall. The price falls until all the Ether is cached. Next, a bounce occurs. This happens with all cryptocurrencies and the cycle is endless. Big market players always leverage the cycle of uncertainty to earn more. When price falls, they start to sell lots of Ether causing even deeper price drop. As a result, the panic occurs and ordinary people start caching out crypto in order to get more stable fiat. 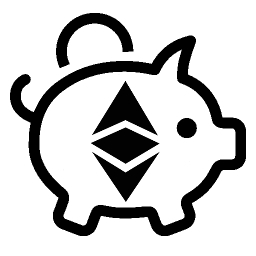 Them, large market players restore their Ethereum savings and the price rise once again. Although this looks like conspiracy, the algorithm is widely used in other markets and illustrates a strategy that was leveraged by big market players millions of times. The uncertainty is nothing more than a tactic, so be patient and don’t make hasty conclusions. There are also extremely large markets that are starting to exchange Ethereum or just going to join the game. 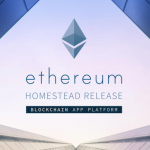 Their participation in the Ethereum ecosystem will increase the Ether price. The rise depends on the market volume and various other factors. For instance, India and South Asian countries are joining the market so the ETH price will get a bump. 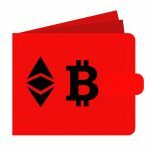 Dapps won’t work without Ether. And the more dapps the ecosystem contains, the higher its price is: more ERC20 tokens are released – more ETH is consumed. All this leads to scarcity driving the Ethereum price up. Governments are starting to explore the opportunities of the blockchain technology. There are already some national economies that leverage Ethereum, so the use of smart-contracts by the whole countries provides positive impression and makes Ethereum more reliable. As a result, it price rises. We sincerely believe cryptos are the future of the Internet (and the Internet is the future of the world). And we don’t want to say that you should sell or hold your Ether in any particular situation. Furthermore, anybody telling you to sell or hold may just pursuing own interests, so be attentive to what your are reading, watching, or listening to. And don’t forget about the dot-com bubble. If you are not familiar with this episode of the history of the Internet, it was a historic economic bubble caused by various speculations between 1997 and 2001. Many Internet-based companies were founded during that period, but many of them failed. And since history always repeats itself and we are living in a fast paced world, the same scenario will be applied to crypto-currencies one day. And the problem is not in the technology, the problem is in various speculations around it. What can we recommend? Become a cryptocurrency specialist. You can invest right now, but you need to know all the nuances to be able to distinguish speculations in media from real premises of crash. We hope that our article was helpful and now you know why Ethereum goes down and what to do when a new dip is inevitable. Will Ethereum crash? Yes, one day everything will crash. If you now more reasons that cause the Ethereum price fall, share them in comments – let’s help other readers together. 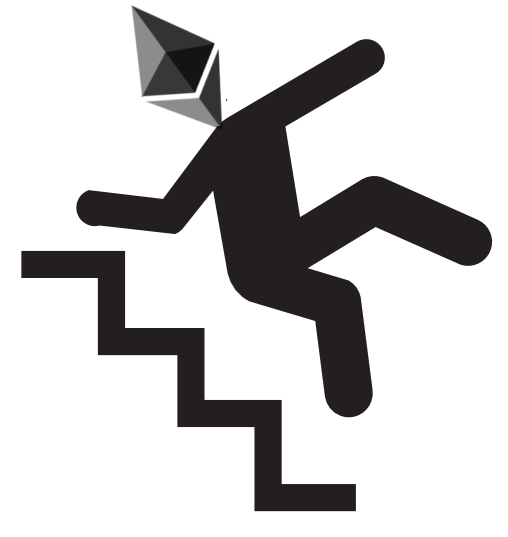 Homepage » Cryptocurrency » Why Is Ethereum falling?